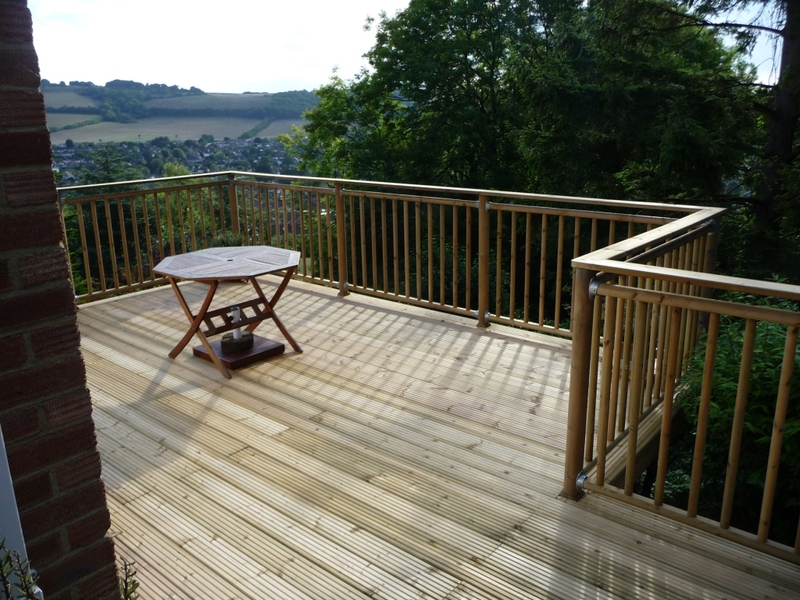 Brief: Our client wanted to increase the area behind their existing patio which was not suitable for the steep location. Cissbury Ring can just be seen in the background. 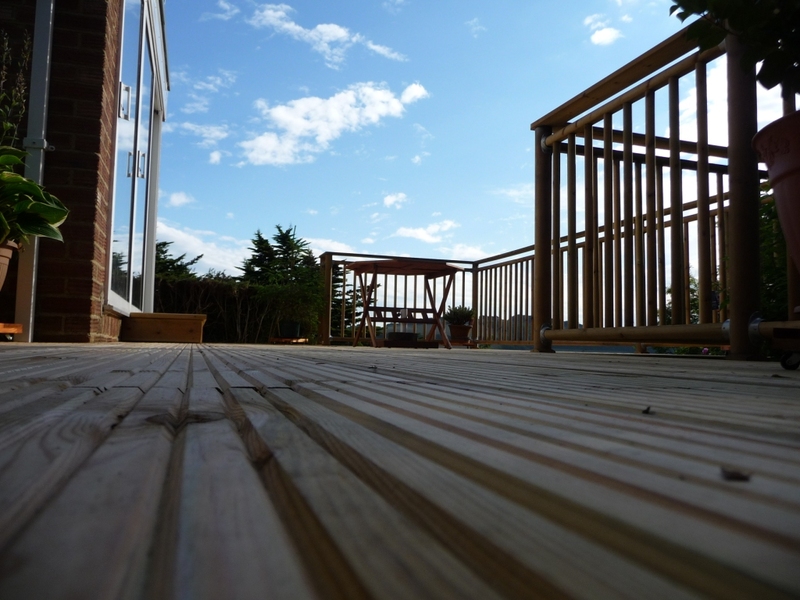 We soon realised just how good the views were so we suggested that the deck be extended out slightly to take full advantage of this. There is no better place when the sun is shining! 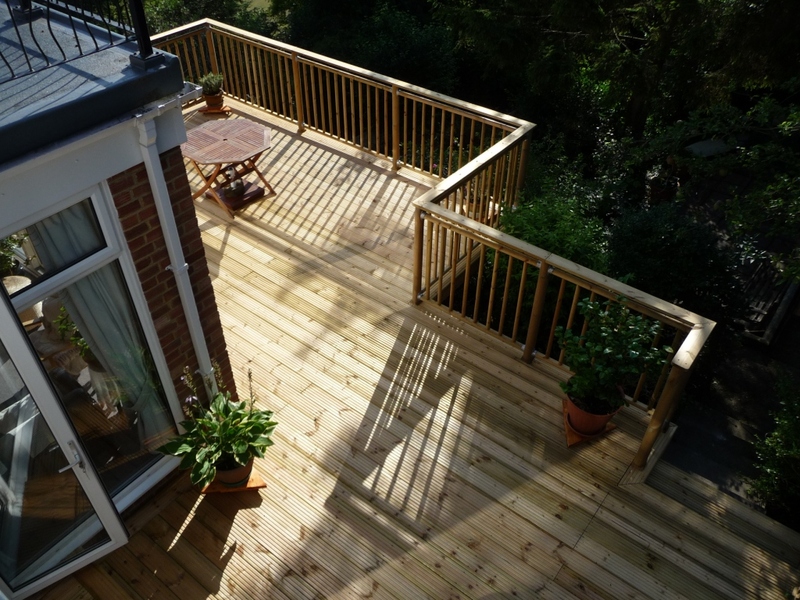 The garden was at 45 degrees sloping away from the property and so a bracing system was constructed to allow the platform to ‘float’ out over the garden. 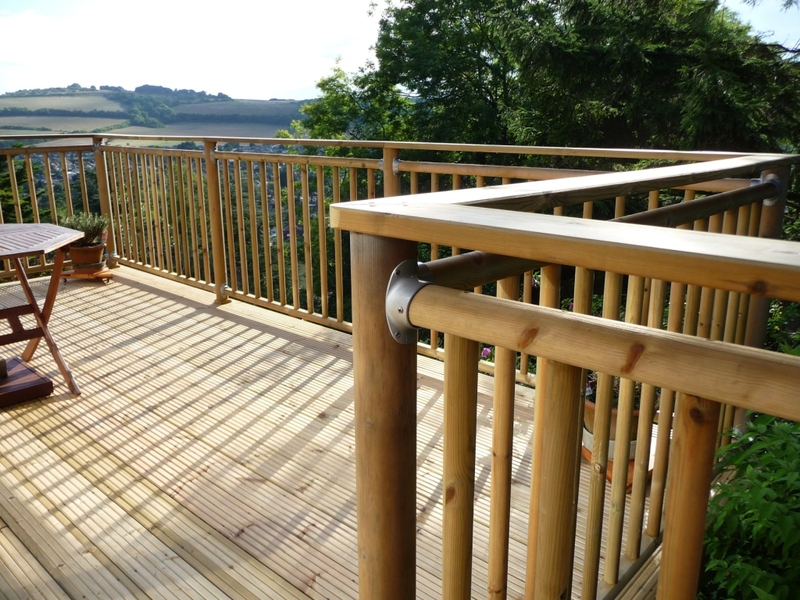 This created quite a drop and so we installed Richard Burbidge high level handrails to offer extra strength to the build. A quality finish always adds that touch of class to a project such as this!